The prolific author-politician has been missing the woods for the trees. Shashi Tharoor writes a new book faster than you can say Thiruvananthapuram. His party is widely expected to lose the forthcoming Lok Sabha elections, giving Tharoor the time to write many new books. Here are five suggestions. Tharoor has tried to reclaim the Hindu faith from majoritarianism with his book Why I Am A Hindu. Like Rahul Gandhi’s temple visits, this may serve the limited purpose of clarifying that the Congress brand of liberalism is not anti-Hindu. But this is not enough to explain what the full ideology of the Congress party is in the 21st century. This is the book where Tharoor could answer the ‘whataboutery’ questions often hurled at the Congress, and move beyond them to showing us the party’s vision – if indeed it has decided what the vision is. It’s easy to write a book saying how great the Hindu religion is. How about a book telling us how great the Congress party is? 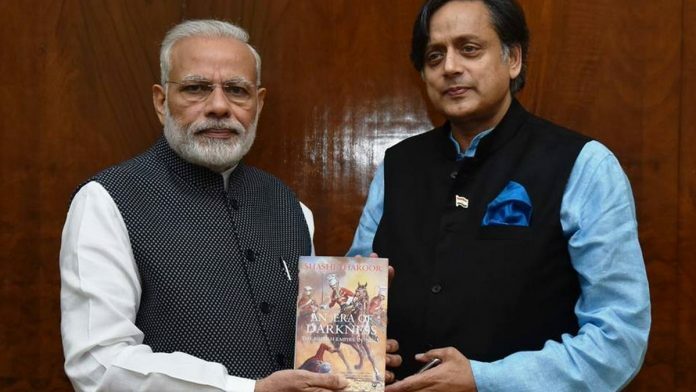 Shashi Tharoor recently published a book, The Paradoxical Prime Minister, telling us what a disaster Narendra Modi’s prime ministership has been. It’s useful to evaluate those in power, and it is Tharoor’s job as an opposition leader to oppose. Yet, where it really matters – the polling booth – people will make up their own minds about Modi’s performance. The question that people are having a tougher time answering is whether Rahul Gandhi is better than Narendra Modi. When the Congress loses the 2019 elections under Rahul Gandhi’s leadership, Tharoor may want to write a book telling us about Rahul Gandhi. How and why should we trust a party led by a man whose only qualification is his surname? Or is there more to Rahul Gandhi? What are his past achievements and future prospects as a politician? Is he a man of the masses? What’s his vision for India? What are his special abilities, talents and ideas that make him better than Modi or for that matter anyone? There are many paradoxes associated with Rahul Gandhi. The dynast who wants to open up his party to new talent, the under-achiever who says he’s better than Modi despite the latter’s numerous election victories, the man of the masses who takes too many flights to Europe. If there’s anyone who can explain the enigma of Rahul Gandhi to us, it is Shashi Tharoor. Tharoor has written quite a few nationalist books with titles like ‘India: From Midnight To Millennium’. It is time to wonder if caste inequality is holding India back? In reclaiming the Hindu faith, Shashi Tharoor has elided the question of caste. This is doubly problematic since he is a high caste Hindu himself. How does a liberal Hindu reconcile his faith with the inequalities of caste? Why does caste persist, and are we succeeding in mitigating its devastating impact on those who were not born into a high caste? The question is as personal as it is political because the decline of the Congress party has been partly due to its inability to engage with caste politics. The Congress party’s confusion over secularism is reflected in its confusion over caste too. Why could the Congress not win over any OBCs after Arjun Singh’s decision to extend OBC reservations in central educational institutions? There was a time when Rahul Gandhi was trying to woo lower OBCs who are fragmented and not well-mobilised, but now the BJP has managed to do just that. In states where the Congress has lost its toehold in caste politics, can it ever recover that space? In ‘Inglorious Empire’, Shashi Tharoor reminded us of how rapacious British colonialism destroyed a once-prosperous India. But can he show us the path to regaining that prosperity? The one and only problem India is facing is unemployment. Shashi Tharoor may want to try and show us the way out of this morass. How can India create millions of jobs? India missed the manufacturing bus, and dare we blame the Congress party’s governments for it. Economic liberalisation came too late, and the economic growth hasn’t led to the number of jobs India needs. Farming becomes more unviable by the day, the demographic dividend has become a demographic disaster. Instead of talking about scorpion and Shivling, Hindu Taliban and Hindu Pakistan, can Shashi Tharoor please shed some light on this great riddle of our times? Instead of telling us how Modi can’t deliver, can Tharoor tell us how exactly the Congress party will solve unemployment? Perhaps, such a book might even help the Congress persuade voters that it has the answers to their problems. Right now, the Congress and Tharoor are only telling us that the problem is Modi. In books like ‘India Shastra’, Tharoor has looked critically at today’s India. Can he bring the same eye to the Congress party’s communication skills, or lack thereof? The Congress says it doesn’t know how to communicate with the people of India. The party’s official position is that it lost 2014 elections because it was poor at communicating with voters. Rahul Gandhi has said on record that Narendra Modi is a better communicator than him. Shashi Tharoor was the United Nation’s head of communications. An under-secretary general, no less. Ram milaye jodi? Instead of causing controversies that get him ticked off by the Congress party’s communication chiefs, perhaps Shashi Tharoor could reflect on how the party could fix its communication gap with voters. Instead of reminding voters about Modi’s USP of being a ‘chaiwallah’, perhaps Shashi Tharoor may want to write books telling us about his own party’s USP, whatever that is. If anybody is less relevant than Taroor, it is the author of this article. You have read Shashi Tharoor’s books but evidently haven’t been able to read him. Know him first then write. Wake up Shivam Vij. Get out of your drawing room and visit common people who are becoming aware of fake propaganda by the press about the government’s ‘achievements’, that they can’t see on ground….in reality. Achchhe Din Aayenge slogan utterings is out of even Ruling party’s chest thumping speeches. Mr. Sashi has done his part. If Mr. Shivam or his party wishes to counter they should express in black&white, not cynical notes of this kind. Writing this, inadvertently he is only promoting Sashi! One thing for sure, if Congress was to adopt the utopian liberal ideals Shivam Vij ascribes to, it will lose the remaining few seats it wins now! Unfortunately for Vij the real world does not work like that. That said Congress does not to evolve strategies to deal with problems which is ailing it but they are going to be very different from what Mr. Vij have in mind. Its a very poor article. I never expected you to print such stuff. Congress may lose the Lok Sabha , but in Kerala , it is predicted to get 16 out of 20 seats in surveys. And if it’s so , Sashi Tharoor will be one of the winners. In fact , Left parties are finding it difficult to get a suitable person for this seat, Thiruvananthapuram. First, Shivam Vij should decide what his position is on the issues that he writes about. Shashi knows what he is doing. This writer does not. This article is based on the premise that Congress will lose 2019. Not sure if that premise is correct . South Indians are not allowed open mouths in India! That is the conclusion! From Mani Aiyer to Renuka Chaudhary to Dr. Tharoor, all North Indians gang up including Congress! Giving opinion is like giving a prabachaan. Does not have any responsibility or accountability.